Is 1TB storage in your smartphone overkill? That’s going to be the discussion we have over the next few weeks as Samsung prepares to announce the Galaxy S10, which should arrive with a model that has that much storage. Here’s the thing – it might be worth it for some of you. There are a few reasons to consider forking out that extra cash for the most storage we’ve seen to date in a phone. For one, you guys aren’t upgrading as often. Two, we’re taking more photos and video than ever. And three, internal storage is so much faster than a microSD card. Breaking those down, if we look at upgrade rates, things are slowing these days. In a casual poll we ran just last month, the majority of you (72%) said that you upgrade every 2 years or longer. That’s a complete flip from the year prior, where only 33% of you said that you hang on to phones for 2+ years. And it’s not just our numbers that suggest a slowing of upgrades. In July of last year, a report stated that from 2016 to 2017, the average upgrade cycle for smartphones jumped from 25 months to 32 months. And that sort of leads us into point two, which has to do with the amount of photos and videos you take with your phone. As the camera quality of devices has reached incredible levels, we use them more. According to a report from 2017, the industry was expected to see a jump of 100 billion more photos per year taken. I can’t even imagine how much that has increased since. So as we take more photos and keep phones for longer, the quality and resolutions have gone up in many cases. That requires more storage. At 1TB of storage, Samsung says that you could store 260 10-minute 4K videos. That should also mean enough room for thousands and thousands and thousands of high-resolution photos. Of course, Google Photos gives you unlimited storage (for the most part), but unless you have a Google Pixel phone, the quality on those photos that are uploaded is reduced. If you want full resolution photos for use later on in life, those are going to live on your phone and having 1TB of storage isn’t a bad thing there. Should you take into account the file sizes of 4K video, especially as companies introduce HDR, more storage becomes even more important. Finally, because you’ll be storing all of that for years to come, you’ll want to do it in the fastest way possible. Having internal UFS 2.1 storage, like Samsung has been putting in its phones, you get the best experience. The new 1TB card they just announced has read speeds of 1000MB/s and write speeds of 260MB/s. The fastest microSD cards top out at around 275MB/s read and 100MB/s write speeds. 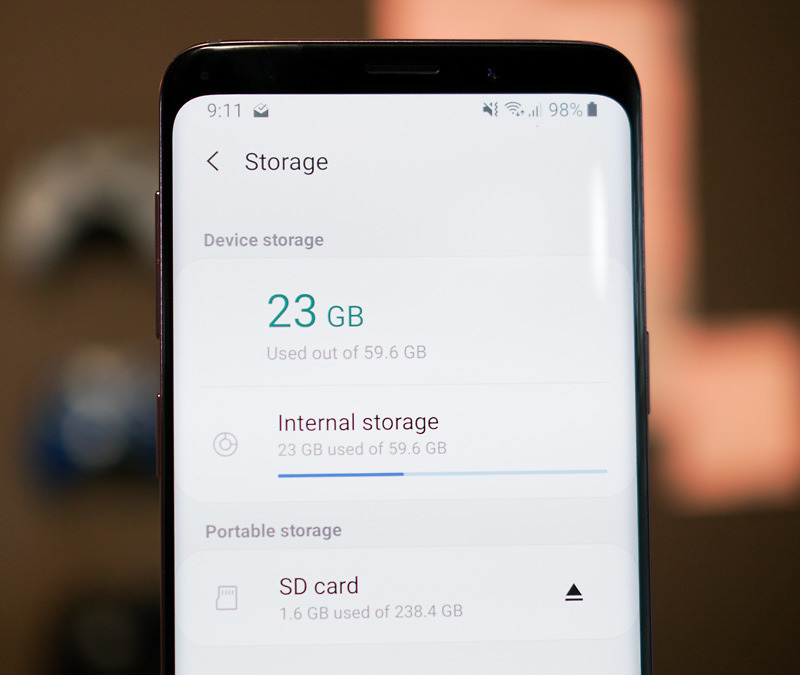 So as you move files around, run apps and games, and generally use your phone, that internal storage is what you should prefer. Pricing for a phone with 1TB is not going to be wallet-friendly, we can assume that. But if you plan to buy a phone this year, look back at how often you upgrade. Phones are better than ever. Phones last longer than ever. As you hang on to this next phone purchase, it may be worth spending just a bit more.